Pictured above is the Kadriorg Palace in Tallinn, Estonia. 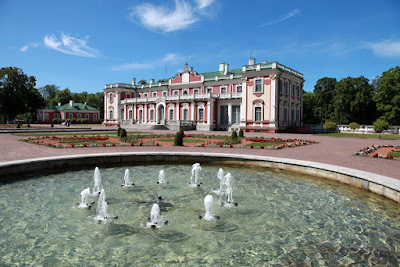 Peter I began building the palace in 1718 when it was called Ekaterinenthal in honour of Catherine I of Russia. He used the architect Italian Niccolo Michetti who designed the famous Peterhof Palace in St Petersburg. Kadriorg Palace now houses the Estonian Art Museum, containing more than 900 Western European and Russian paintings.